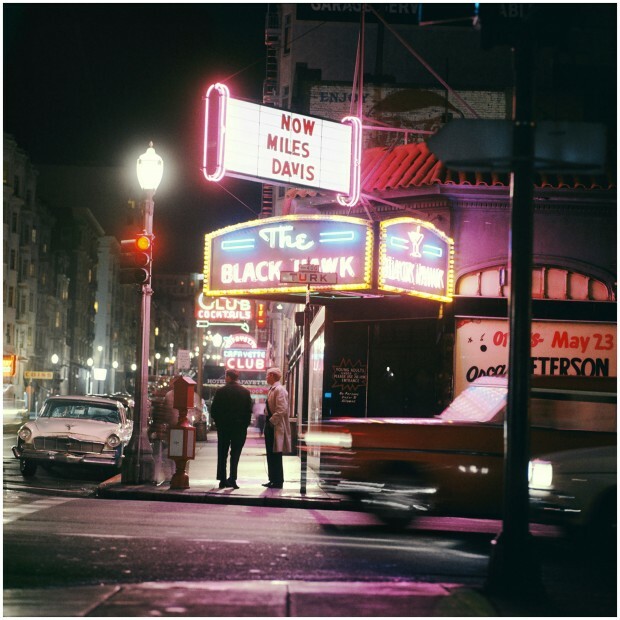 ☛ Morrison Hotel Gallery: “Miles Davis, San Francisco, 1961” color photograph by Leigh Wiener. Used with permission from The Estate of Leigh Wiener. © 1961 Leigh Wiener. All Rights Reserved. Miles Davis’s two-night stand at The Black Hawk in San Francisco marked a watershed in jazz history, a seminal event transforming the American musical landscape. 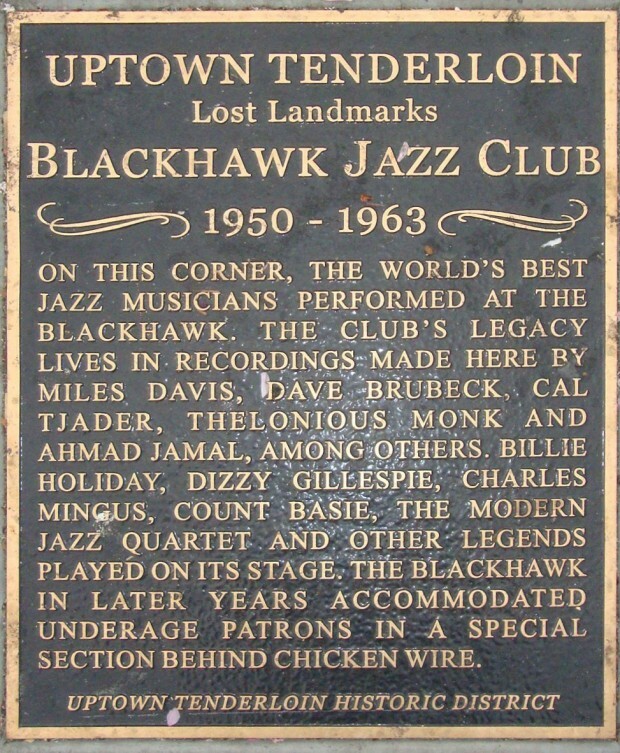 Davis had never been recorded live in a club with his combo and the performances over the course of two sets a night on April 21 and 22, 1961 more than justify the legend. The New York Times, in its review of the Columbia Records release of the complete Black Hawk shows, called the music “the gold standard for straight-ahead, postwar jazz rhythm.” Leigh Wiener’s shot of the club bathed in the neon and streetlights seductively hints at the promise of the music just behind the door. There are some discrepancies online about Leigh Wiener year of birth. The New York Times, The Independent and Variety either states that he was born in 1931 or that he died at 62 years old, while Wikipedia and his official website have him born in 1929. In an email exchange, his son generously provided me with the correct information: “Leigh Wiener was born on August 25th 1929. He died on May 11th 1993 at the age of 63 years, 8 months and 16 days old”. To learn more about Leigh Wiener, browse his official website or check one of the following newspaper article: The New York Times: “Leigh Wiener, 62, Photographer Of the Famous and the Historic” by Wolfgang Saxson, May 14, 1993; The Los Angeles Times: “Exhibit Surveys Work Of Photojournalist Wiener” by Herman Wong, September 19, 1996. First spotted via Evan Cordes’s Mlkshk. Original source for the hi-res image: Jazz In Photo.